''Look at the head on that'', she thought. This is the tendency for the naming of something to create an impression of imparting an understanding of it. 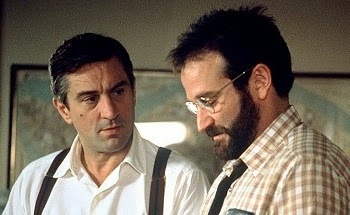 It applies, for example, to the naming of mental disorders: a person who tells implausible lies may be said to be suffering from pseudologia fantastica, but that term is nothing more than a name for implausible lying, and any impression that it imparts an understanding of the phenomenon is a cognitive illusion. 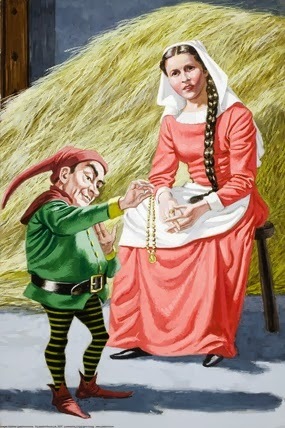 The phenomenon is named after Rumpelstiltskin. In a famous fairy tale called 'Rumpelstilzchen' in the German version collected by the brothers Grimm, a strange dwarf exerts a baleful influence over a miller's daughter until she eventually gains power over him by learning his name. This culture bound syndrome is found almost exclusively in Japan, most commonly among male teenagers and young adults. It is characterized by extreme social withdrawal and near total severance of contact with the outside world, without any other evidence of psychiatric or neurological disorder. It is usually triggered by an upsetting experience, such as being bullied, failing an examination, or experiencing a broken love affair. People with the disorder usually lock themselves in their bedrooms and refuse to come out for weeks, months, or even years. "Japanese society is caught in a paradox: it is concerned with the increase of socially withdrawn kids, while at the same time it applauds gizmos like the new Sony PlayStation, which comes equipped with an Internet terminal and a DVD player. Technology like that has made it possible to produce animated movies and graphics, as well as conduct commercial transactions, without ever stepping out of the house. It inevitably fixes people in their individual space. In this information society, none of us can be free from being somewhat socially withdrawn." 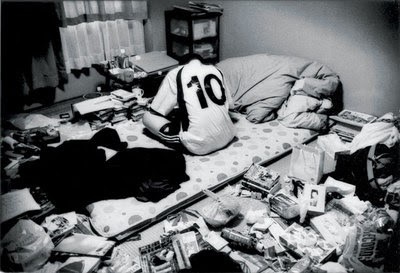 The disorder was first recognized in the 1970's and the word hikikomori was first applied to it by the Japanese Health and Welfare Ministry in 1991. What is Major Depression? Symptoms can include; weight loss, insomnia, a negative self-image and even suicidal thoughts. It's not the mood itself that denotes pathology, but its extent, severity, and duration. When left untreated, depression can often go away by itself, but for many people - it persists. Depression can begin as a reaction to specific life experiences, such as the death of a loved one, job loss, divorce, or reacting to growing old. Many people with major depression think they have only physical problems, so they seek help from a physician, and in fact they may never get to a mental health practitioner at all. Depression can come in many forms from the mildest, that may go undetected, to the most acute, requiring hospitalisation. The milder forms of depression may be exemplified by a high executive who flies a corporate jet and who feels a lot of physical symptoms occurring over a period of time with a gradual onset. They may feel a sense of malaise, decreased energy, or a decreased enjoyment of life, but can still work and function as far as others are concerned. But as far as he's concerned, he's only working at 30 or 40 percent of his usual capacity. This person may be very unhappy, their life may be extremely difficult for them and others may not even notice. The fact is that many people are working and functioning in this state. This same person may respond to treatment and feel one hundred times better once their actively treated. But to the outside world, they may look exactly the same. That's the mildest form of the illness. In acute or severe depression, the psychomotor retardation is even more intensified. The person moves slower, speaks slower. The person actively withdraws from social contacts, he doesn't want to be involved with other people, they just want to be left alone. They can no longer function as well as they could. They have no motivation to work, to be involved in anything. Nothing seems worthwhile. In psychotic depression, there is a break with reality, here the person experiences delusions, usually associated with guilt or self blame - more extreme forms of what we see in milder forms of depression. They may have hypochondriacal delusions about their bodies, such as cancer. 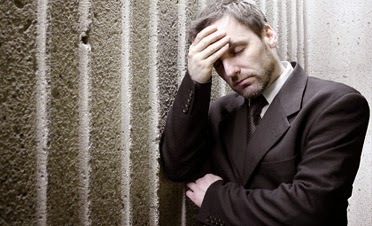 In the most pronounced forms of depression, called 'depressive stupor', all of the previous symptoms are aggravated. Here the same person does not respond to the outside world at all. Some are even spoon-fed to be kept alive. In general, the subjective case of the depressed person is that they're living life beneath a cloud. People are hopeless that anything will take the pain away. It's like being tortured and seeing no way to get out of it, no way to end the pain. And that's when people not only consider suicide, but that suicide seems like a merciful exit for them, a way to get out of what seems to be a no-exit situation. I'm in a kind of fog all the time, like a heavy half-sleep. My memory's a blank. I can't think of a single word. All that flashes through my mind are some images, hazy visions that suddenly disappear, giving way to fresh images. But I simply can't understand or remember what these mean. 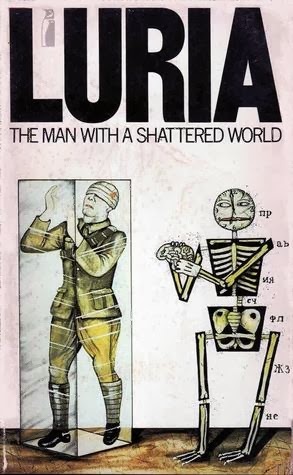 Again and again I tell people I've become a totally different person since my injury, that I was killed March, 1943, but because of some vital power of my organism, I miraculously remained alive. Still, even though I seem to be alive, the burden of this head wound gives me no peace. I always feel as if I am living in a dream - a hideous, fiendish nightmare - that I am not a man but a shadow. The story in Zasetsky's notebooks tells of a courageous, continuing effort to restore his lost mental functions. Zasetsky's torment illustrates clearly the critical importance of learning and memory in the normal activity of the human brain. Cocaine: Wealth to a few, Misery to millions. Cocaine is a global business. From coca farmers in Columbia, to trafficking cartels in Mexico, to crack slingers in Miami, to cocaine dealers in London, the supply chain of cocaine stretches around our world. For some cocaine is a way of life. Producers, traffickers, dealers, users, scientists, and cops are all part of this 300 billion dollar global industry. Cocaine, a powerful stimulant that produces feelings of intense pleasure and wellbeing, is used in two main forms. Cocaine powder, snorted predominantly by middle class and up. Many of whom would believe that it's non-addictive and can enhance both work and play. 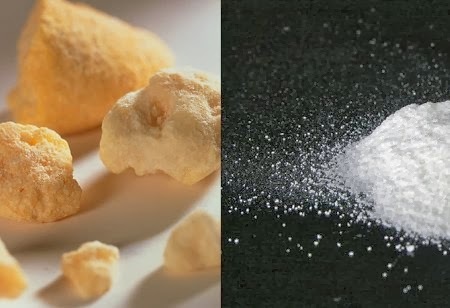 Crack cocaine is sold in rock crystal form that can be heated and inhaled or smoked. It is called 'crack' in reference to the cracking sound it makes when it is heated. 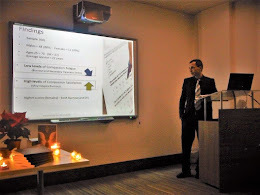 It appeals to a lower class cohort due to it's price and availability and it delivers an intense high. However, smoking crack follows the laws of diminishing returns, the euphoria delivered by the first hit from a crack pipe is always the greatest. Users continue to smoke in an attempt to recapture the impact of that first hit. The United Nations World Drug Report declares that there are up to 20 million cocaine users worldwide, with the majority snorting cocaine. Crack cocaine first emerged in 1984. Up until then, cocaine costing $100 per gram was seen as a drug that was the preserve of the rich. Crack revolutionised the cocaine business by offering a cheap, yet intensely powerful high for as little as $5. It soon swept through America's inner cities. Within a year, 5.5 million people had succumbed to this new addiction. On the other side of the Atlantic in the U.K., crack cocaine has never really become as popular. The British population lean towards powdered form and use more than any other nation in Europe (EU Drug Agency Report). In the 1990's the appetite for cocaine in the U.K. exploded. Seen as a glamorous drug that enabled users to work and play harder and longer, cocaine became the drug of choice for Britain's middle class. Today, an estimated 38 tonnes of cocaine is being consumed in the U.K. each year. Around the world there are an estimated two million people working as cocaine dealers. Selling cocaine in crack form can provide a good living but few make a fortune. The big fish are the traffickers who supply the dealers with the 900 tonnes of cocaine produced each year. They earn millions smuggling large shipments across international borders. Cocaine dealt on the streets of London comes from the other side of the globe. From Columbia, cartels ship their product to depots they've built in Guinea Bissau, West Africa. The cocaine is then trucked to Morocco and into Spain, where it is sold to British traffickers who load it on trucks that are sent to the U.K. by ferry. Out of ten trucks, two are usually expected to be caught. The cocaine trade wreaks havoc on countries around the world. Cash from the sale of coke has financed coups in Bolivia, fuelled guerrilla wars in Nicaragua and Columbia, and threatens the stability of the Mexican state today. Every year 51 billion dollars worth of cocaine floods across the border into the United States. Mexican cartels purchase cocaine from Columbia where over half of the world's cocaine is produced. The cocaine produced by peasant farmers in Columbia is smuggled across the international borders by traffickers. Sold on city streets by dealers and to be snorted by the 1.9 million regular American users of cocaine. 360,000 of these are hard-core crack addicts. 25% of Americans who have used cocaine in the past year will develop a problem with it. Some will end up in prison and many will seek help for addiction. 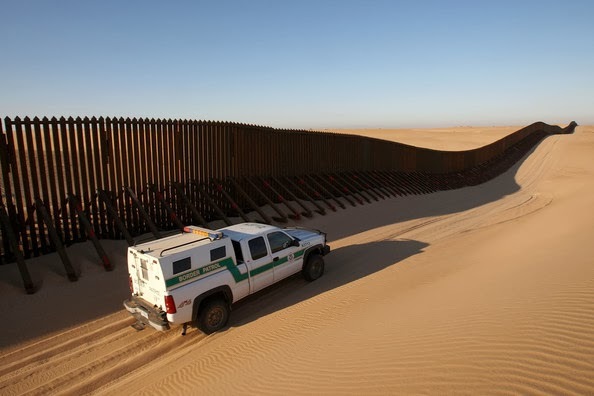 Since 9/11, the U.S. department of homeland security reinforced it's border with Mexico by building hundreds of miles of fences and installing license plate readers at all points of entry. It's also increased border patrol units on land, sea, and air. By the turn of the century, a wave of violence had spread through northern Mexico. The drug cartels fought each other for cocaine trafficking routes into the United States. 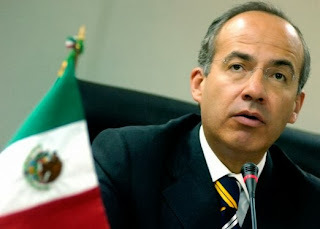 In 2006 Felipe Calderon was elected president of Mexico. He pledged to take on and defeat the cartels responsible for plunging Mexico's northern cities into anarchy. Calderon dispatched state police and troops to crack down on the operations of the cartels. When Eduardo Arellano Felix (Tijuana Cartel) was arrested, the leadership vacuum sparked a war for control of the cartels and their drug smuggling routes into the U.S. With many looking to be 'top dog', the war is brutal. In the 3 years following Calderon's election, another 15,000 people are gunned down. However, the deaths don't deter people from entering into the illegal and violent drug trafficking business. There were hundreds eager to step into Eduardo's shoes and take over his trafficking routes by undermining his position. Up to 2013, the Mexican drug war has cost the lives of 60,000 people, with other reports putting it as high as 100,000 due to missing persons. For the best part of the last 25 years, governments around the world have been fighting a war against cocaine. In Columbia, the American government has financed an eradication operation to reduce cocaine production in the country by 50%. Since 2000, the U.S government has poured five billion dollars into these eradication missions of cocaine superlabs, all to little effect. The amount of cocaine manufactured in Columbia remains the same today as at the beginning of the century. No matter how many dealers are arrested, there will always be somebody else eager to take their place. Where there is demand, there will be a supply. Today, more cocaine enters the U.S. than ever before, with an army of dealers selling it to America's 7 million users and addicts. The war is relentless and the vast profits made from cocaine will undoubtedly continue to finance this global drugs business for the foreseeable future. ''Cocaine is God's way of saying you're making too much money''. Tags: Addict, Addiction, Britain, Cartels, Cocaine, Columbia, Crack Cocaine, Dopamine, Drug Use, Drugs, Felipe Calderon, London, Mexican Drug War, Mexico, U.K., U.S.